Winters are harsh and make your living space uncomfortable unless you install some kind of heating appliance to make it warm and comfortable. Heaters are essential for maintaining the comfort level of a room. But cold weather is not the only problem of winters. Dryness is another issue that needs immediate attention. It is also critical for keeping the atmosphere of a room healthy and well hydrated. Dry air in winter is not only uncomfortable but may cause several health issues like rough skin, sinuous issues, respiratory problems, allergies, and many other infections. It can aggravate a cough and cold symptoms, making the atmosphere unhealthy and uncomfortable. Using heating systems is not a solution to this problem as heaters make the air drier. A humidifier adds the moisture into the air. Its sole purpose is to regulate the humidity level of room and making it comfortable with the right amount of water content in air. Many types of humidifiers are used for this purpose like warm mist, cold mist, or ultrasonic humidifier. Heater and Humidifier combo is another kind of useful home appliance that is worth giving some thought. 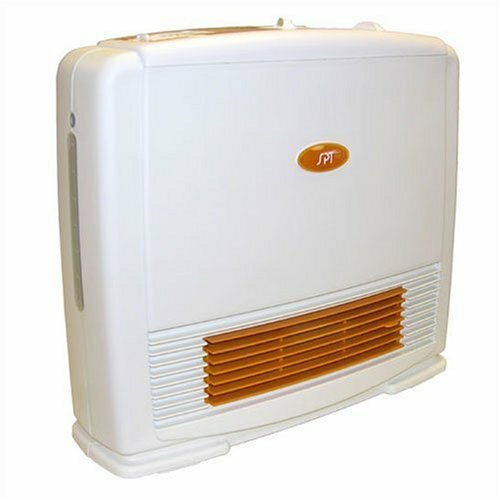 What is heater and Humidifier combo? Heater and humidifier both are essential for comfortable and diseases-free winter. Understanding the need for both these appliances manufacturers combined the two into a heater and humidifier combo that eliminates the need of two separate appliances and combines the features of both into one making it cost effective, energy efficient, and covers less space. 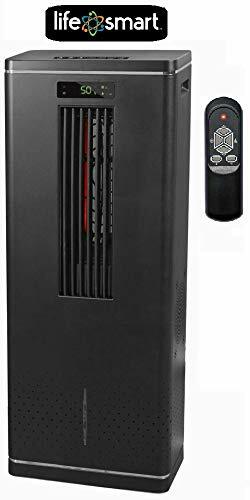 What is more interesting with these heater and humidifier combo is that they often come with many additional features that make life more comfortable. Some of these have inbuilt air purifiers, and some even give the options of evaporative coolness for summers. So as the technology is progressing new features are constantly being added for your convenience and benefits. 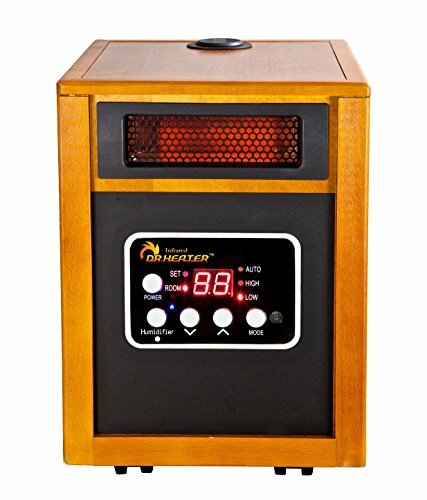 How a heater and humidifier combo works? There are three kinds of an electric heater and humidifier combo. These heaters apply a voltage to the metal electrode immersed in the drinking water and heat the water till the boiling point to produce steam. The quantity of steam is proportional to an electric current which is, in turn, proportional to the water level. The heating produce in this process warm the room, and the evaporation adds the moisture into the air serving both purposes. These heaters are cost-effective and are operative with normal drinking water. However, the salt and mineral content in water is not evaporated, and over the period limescale is deposited and covers the parts of the cylinder which can be replaced or cleaned. These humidifiers heat the water until the boiling point and transform the heat into water for producing the steam. These appliances can use demineralized water as they do not exploit the electric conductivity of water. This minimizes the mineral deposition in the tanks and reduces the maintenance cost. Gas-fired steam humidifiers use the local burner to produce steam. The heat exchanger is made of stainless steel or aluminum and contains a water tank for producing steam. These are heavy duty machines, and as the cost of gas is lower than electricity, so the running cost is also less. 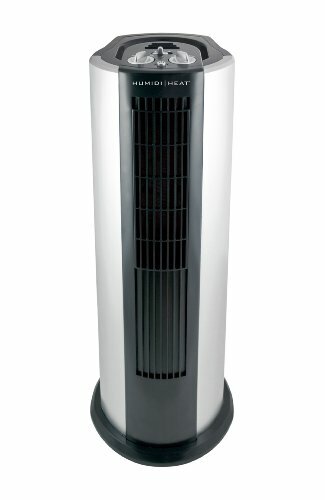 What to check while buying a heater humidifier combo? Following points should be considered while buying a heater and humidifier. The first thing to determine is the type of heater you need. There are many types of heater and humidifier combos. Electric heater and humidifier use three kinds of technology. Convection heaters are great for providing even and whole room heating. Radiant heaters are useful for quick and spotted heating in small spaces. Fan-forced heaters use an internal fan that blows the heat and humidity across the fan. Selecting an appropriate heater suiting your living space is essential for effective heating and humidity level. One of the essential things to look for while buying a heater and humidifier combo is the size of the area the heater humidifier is going to cover. Generally, 10 watts of heating power is required to heat each square-feet of your room. So choosing the right size of heater humidifier is important for maintaining the right level of heat and humidity in a room. Surely you don’t want to spice up the electricity bill. It is a good idea to compare the efficiency of different heater humidifiers before choosing one. For conserving the electricity choose the right size for your room. Additional features like auto shut-off or timers help in saving energy by turning off the machine when it is not necessary. Safety features are important to look for in any heater and humidifiers. Especially, if you have kids or pets at home making sure that all safety features, like auto shut off if tipped off or cool exteriors to touch, can avoid accidents. Heater and humidifier use fan to distribute heat and moisture into the air. This portable heater humidifier may emit some kind of noise. Choosing one with the minimal noise can save you from a lot of inconveniences later. Heater humidifiers have water tanks for producing the steam. Salt and mineral deposits can build up inside the tank affecting the performance of your appliance. Regular cleaning is essential for preventing the growth of mold and mildew and limescale buildup. An easy to clean heater humidifier save a lot of your time and energy. 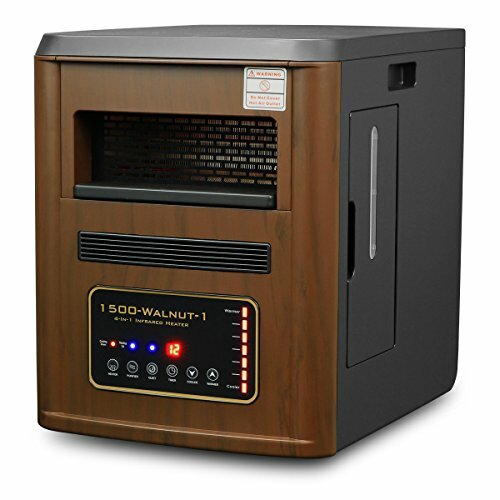 Cost is an important factor in deciding the right heater humidifier. Decide how much you are willing to pay and look for the one that provides maximum features within that price range. Are you looking for a Heater humidifier combo? Then you need not worry as we have chosen some of the best heater humidifiers for your convenience. Have a look and choose the one that suits your requirements and fits into your budget. This one also combines the goodness of four appliances into one. It comes with an infrared heater, a plasma air purifier, sterilization, and a humidifier. With its 1500 watt powerful heating system, it effectively warms the room in no time. It comes with a filter that 99% of microbes from the air. Plasma ion generator attack airborne pollutants at the molecular level. It combines four functions in one appliance. 1500 watt heating system works effectively. Cleanse the air making the atmosphere of room healthier. Work well in large areas. Humidiheat combines three appliances into one. It’s a heater, humidifier, and also an air washer. With its three powerful heat settings and modes, it is easy to use. It is also easy to maintain as it combines anti-microbial technology for preventing the growth of microbes, germs, or bacteria in the water tank. It comes with an air purifier that cleanses the air of your room making it more pleasant and healthy. You can leave the heater on for warming your space as the device automatically shuts off on a set time. It comes with a cleanable filter that reduces the maintenance cost. It covers less space and is portable. Combines air cleaner, humidifier, and heater in one device. A cleanable filter that reduces the risk of limescale buildup. Features auto shutoff and low water sensors. The filters need to be cleaned and must be replaced after a specific period. Dr Infrared is an energy efficient device that keeps your space warm without putting many constraints on your pocket. It uses the dual heating system and is ideal for large spaces. It combines a humidifier for adding the extra moisture to the air of your room making it more comfortable. It uses infrared heating, which makes the objects in the room warm and provides the maximum warmth to you. It has high and low-temperature settings that range from 50 to 85 degree. The heater and humidifier have an automatic shut off system that turns off the device after 12 hours. It comes with tip over and overheating protection. Use of infrared beams for heating the objects in the room. Auto shut off in case of a tip over or overheating. Humidifier adds cool mist into the air making it more comfortable. Ideal for large spaces with its 1500 watt heating system. May not suit small spaces. Does not has an air cleaner. This ceramic heater comes with a built-in humidifier as well. It has low and high heating system with or without a humidifier. You can use the only heater if you think the room does not need humidity. It comes with tip over and overheats protection. Comes with ½ liter tank and is easy to use with dial control. You can use a heater with or without a humidifier. Covers less space and is portable. Have no filter to prevent limescale buildup. Must be cleaned regularly to prevent mineral deposits. This is a useful appliance all round the year as it combines an infrared heater, evaporative cooler, a humidifier, and a high-velocity fan. With its two heat settings, the heater provides even heat distribution targeting the people and objects. Need some air flow in the room, simply switch on the three-speed fan mode. With one gallon of water capacity, the humidifier can keep working for ten hours non-stop has low water indicators. The same one-gallon water source is used for cooling purpose too. The smart device is easy to control with touch or remote control. Works as a heater, fan, evaporative cooler, and humidifier. The slim tower is portable and covers less space. Water tank needs cleaning regularly.